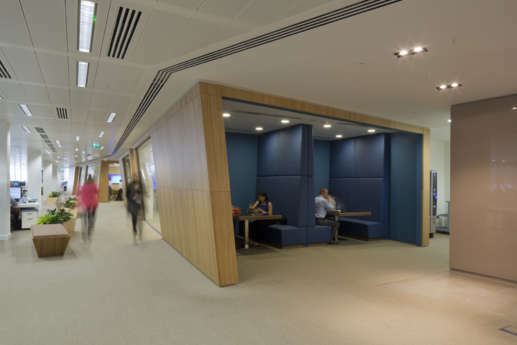 We worked with a team, including Studiofibre, Bigham Anderson Partnership and ChapmanBDSP, to fit out the new UK headquarters for technology firm Dealogic, in iconic One New Change, in London. 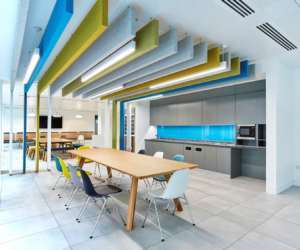 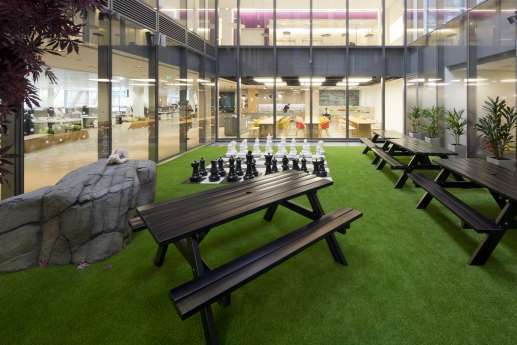 The project involved fitting out 29,000 square feet, from shell to a high specification Cat B finish. 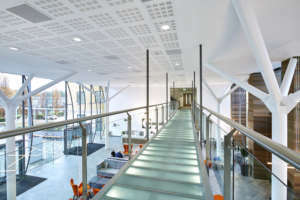 The building was fully occupied throughout, so we minimised noise and disruption and liaised with next-door occupants. 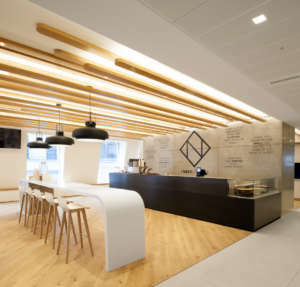 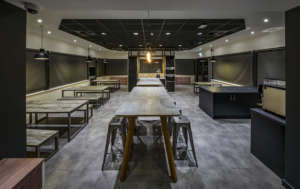 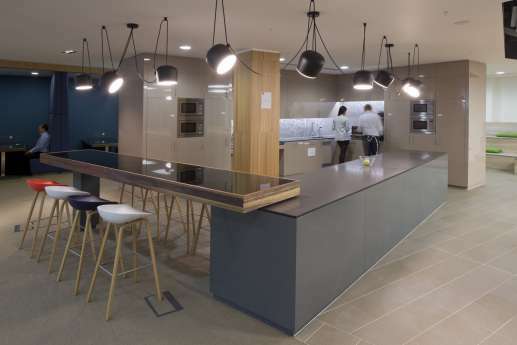 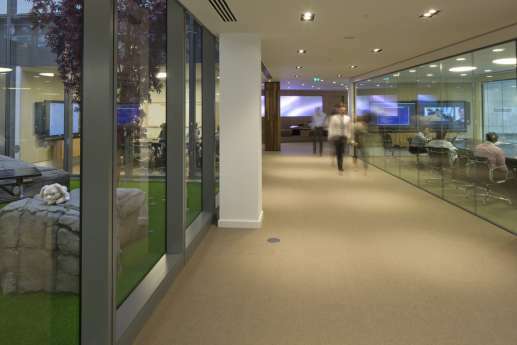 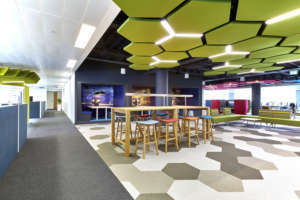 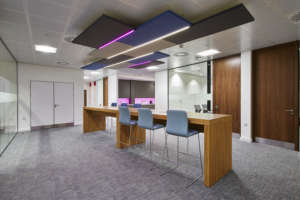 The new fit out included creating a new reception area featuring LED illuminated panels and a glass reception desk, and an open plan area for over 400 staff, complete with open sided break out areas. 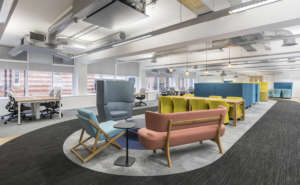 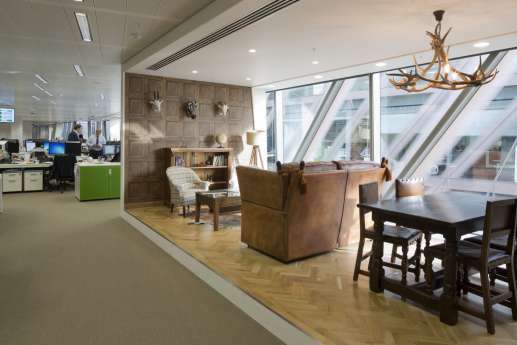 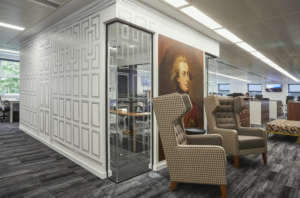 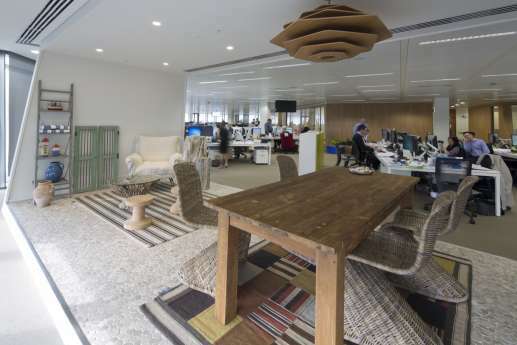 Quirky finishes and furnishings helped create a relaxing space for staff to get away from their desks.